At 5 km from our agriturism is located the Santa Barbara’s Equestrian Center. Here you can admire donkeys, goats and horses of various races and in particular the native breed “Monterufolina”. 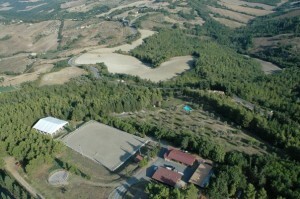 Beautiful environment surrounded by greenery and with views of the Val di Cecina and Volterra. You can take riding lessons or horseback riding choosing the level of difficulty and durability that’s right for you !! !